TrackerPro’s intuitive user interface helps streamline the process of compiling documents for a title report application. Employees need only enter in a client’s information once and it is automatically filled in on all relevant paperwork. TrackerPro will remember the pertinent information related to lawyers, buyers, sellers, and even specific properties so that it is unnecessary to reenter data when there is repeat business. Our title insurance commitment product includes industry leading features such as electronic tabs, web links, and more, which will enable you to compete with any other company, including underwriters. TrackerPro will greatly increase the efficiency of any title insurance office by allowing users to accomplish every step in the ordering process quickly, effectively and all in one place. 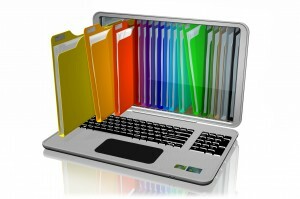 Our efficiency through automation approach will improve every aspect of your title report production process. TrackerPro is all about tracking. The comprehensive checks and balances built into the program will assure nothing falls through the cracks. Our work-flow tools will always assure processes and procedures are followed and completed. Gone are the days of angry clients calling because a survey locate or clearance matter was not complete. A detailed history of any application from order processing to closing is always at your fingertips.